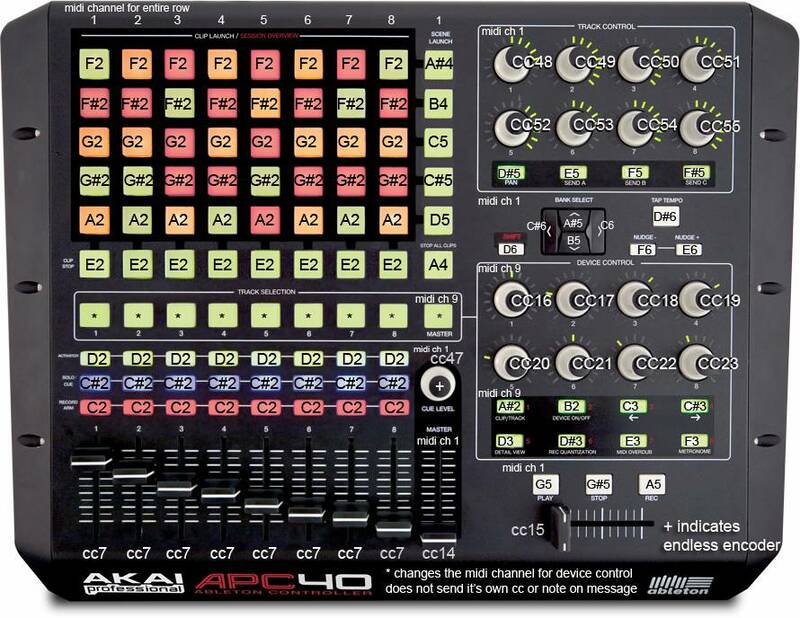 AKAI released the technical documentation for the AKAI APC 40. This is the official documentation on how to make custom midi mappings with the APC 40. 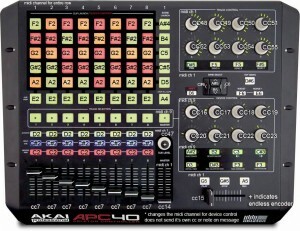 The image below (clickable) gives an overview of the MIDI channels that the APC 40 uses to send and also receive data. By sending data back it is possible to control the LEDs. In the APC 40 Communications Protocol PDF are the details described. Here you can also find what values to send to the APC 40 to get the LEDs to light up. All the information you need to create custom MIDI templates for the APC 40 for usage in other applications or custom mappings in Ableton Live. Of course there is still the official APC 40 Tips & Tricks page, although that doesn’t include the Needle Drop / Track Scrubbing Tip.